Do You Have This Book That's a Game Changer for Children's Ministry? 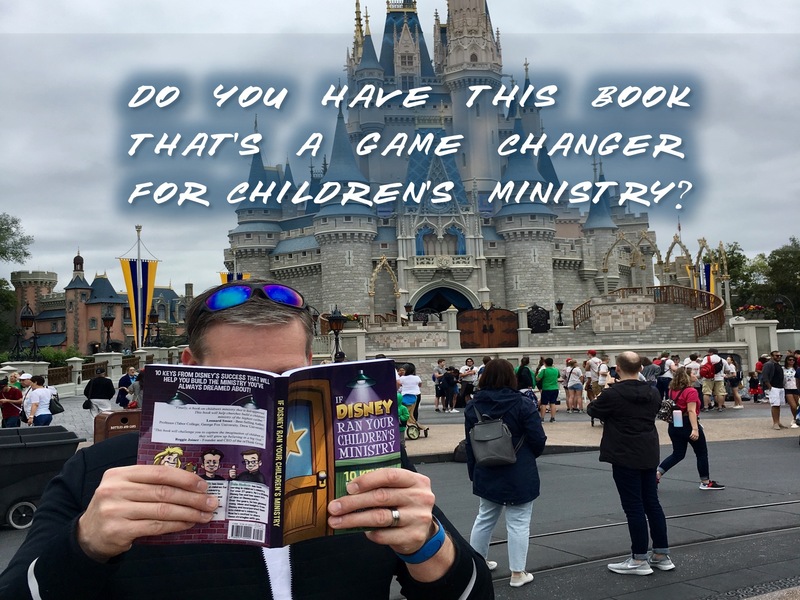 Recently, I was at Disney World and took along the book "If Disney Ran Your Children's Ministry." This book was written by Bruce Barry, Justyn Smith and myself. Thousands of churches have read the book and are implementing many of the insights shared in its pages. This year over 73 million people will walk into a Disney Park. The vast majority will be kids and their parents. Disney knows how to connect with families. And now you can discover the inside secrets that Disney uses to attract so many families. Here's one example from the book. For a large group time, most people put the youngest kids up front and the older kids in the back. But is that the most effective way? Look what Walt said about this. From this we learn that we should put the oldest kids up front and the younger kids behind them. Why? Because the younger kids want to be like the "big kids." As they see the older kids engaging with the lesson in front of them, they will follow and engage as well. But if the older kids are in the back, they will look in front of them and see the little kids and think "This is babyish. I'm too cool to join in with these little kids." You see, cool runs downhill. This is just one example of the game changing ideas you will glean from this book. We just received our 6th printing of the book and we'd like you to have a copy. So here's what we are doing. For the next 10 days, we will be offering the book at a 10% discount. This means for a limited time, the book is only $13.50. At checkout, simply enter the coupon code DB19. The book is available at this link. And if you'd like to order several copies to read through with your team, we can offer an even deeper discount. You can contact me at this email if you are interested in multiple copies. There are hundreds of ideas, insights and examples waiting for you in this book. Grab your copy today and start attracting families to your church. You can get the book in paperback or as an ebook. The discount applies to the ebook as well. The ebook is only $8 during this promo. Enter code DB at check out. Have you already read the book? We'd love to hear any insights, ideas or take-a-ways you gained from reading it. You can share your thoughts with us in the comment section below.